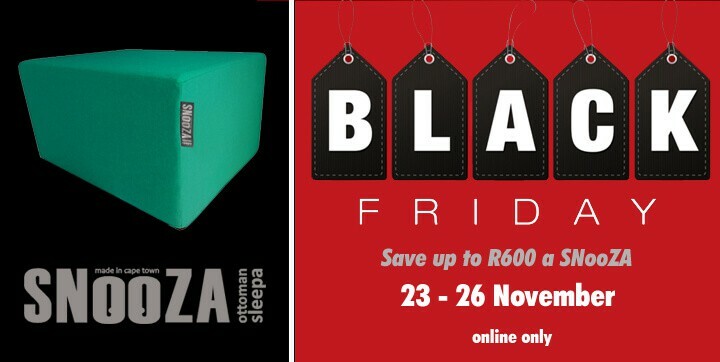 SNooZA » News » BLACK FRIDAY SALE – NOW ON! BLACK FRIDAY SALE – NOW ON! Order your SNooZA’s online between the 23rd & 26th November and receive massive savings. Our pinstripe corduroy SNooZA is less R600. And don’t forget our prices INCLUDE delivery anywhere in the country. Delivery can take anything from 48 hours to 10 days depending on stock levels. Take advantage of these prices TODAY. Happy shopping …… and then SNooZZzing! Buy 2 SNooZA’s or more and get a R300 discount per SNooZA!